Learn the trademark riffs and solos behind one of the most influential guitar bands of all-time! 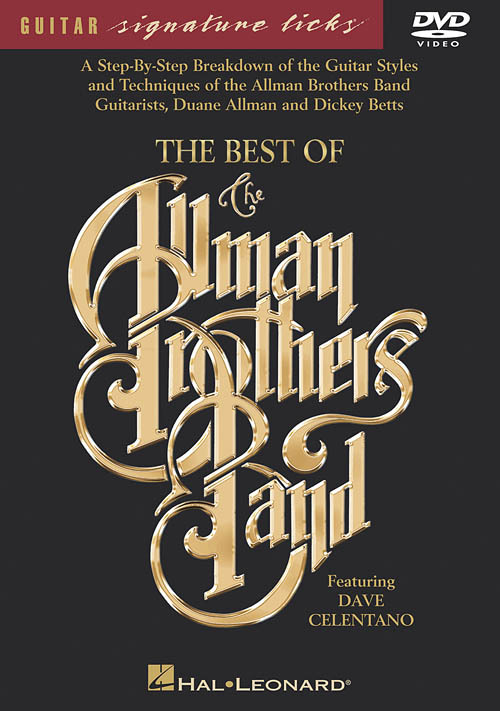 On this DVD, host Dave Celentano provides a step-by-step breakdown of the guitar styles and techniques of Duane Allman and Dickey Betts through the analysis of these eight classics: Ain't Wastin' Time No More • Black Hearted Woman • In Memory of Elizabeth Reed • Jessica • Little Martha • Melissa • Ramblin' Man • Whipping Post. Approximately 60 minutes.